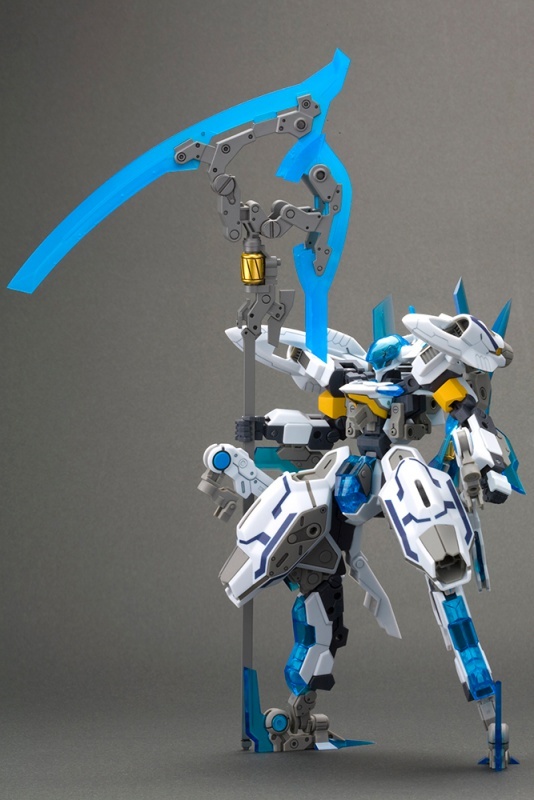 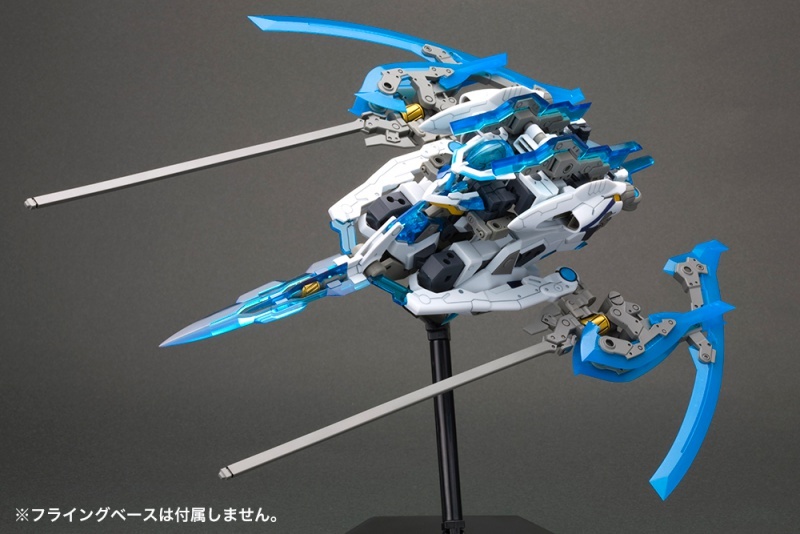 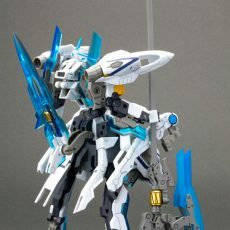 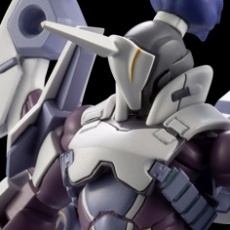 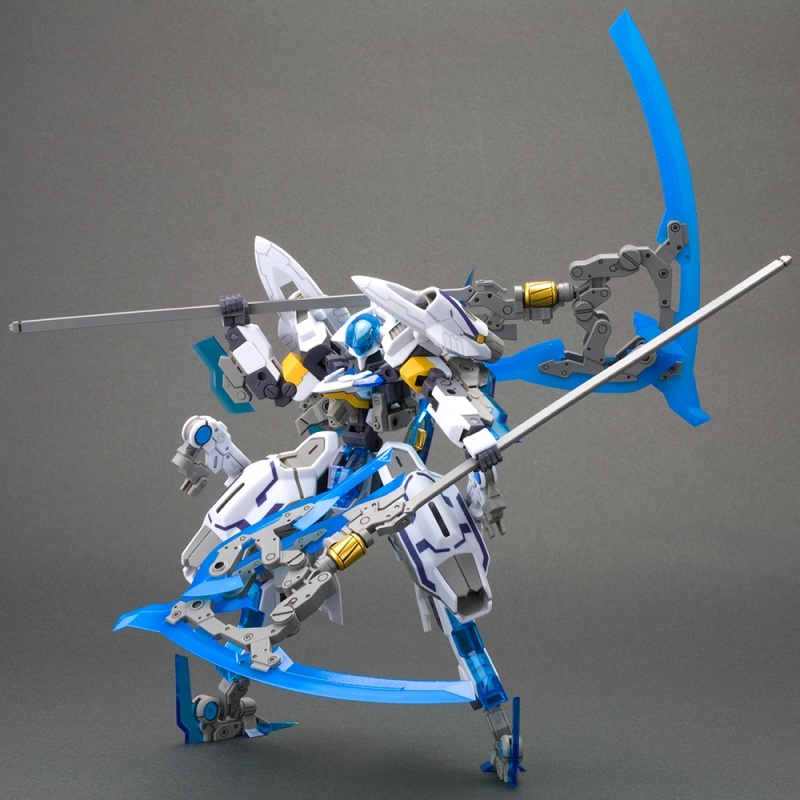 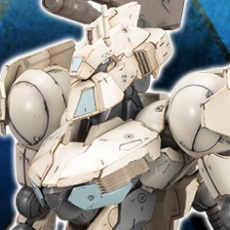 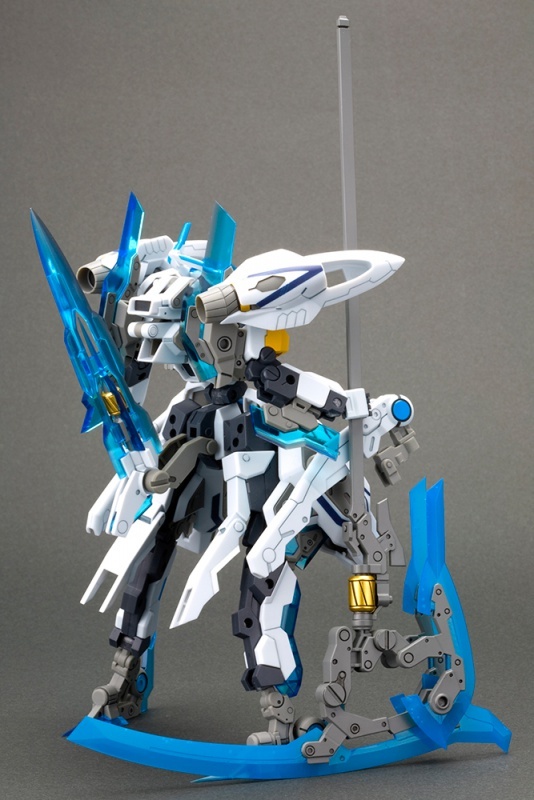 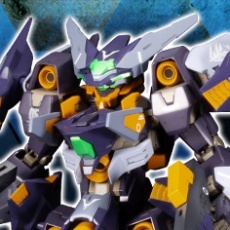 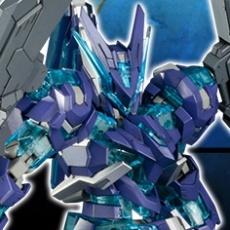 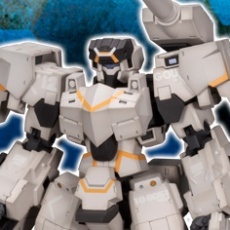 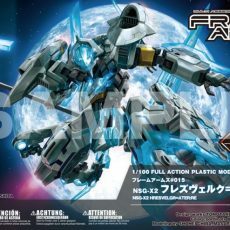 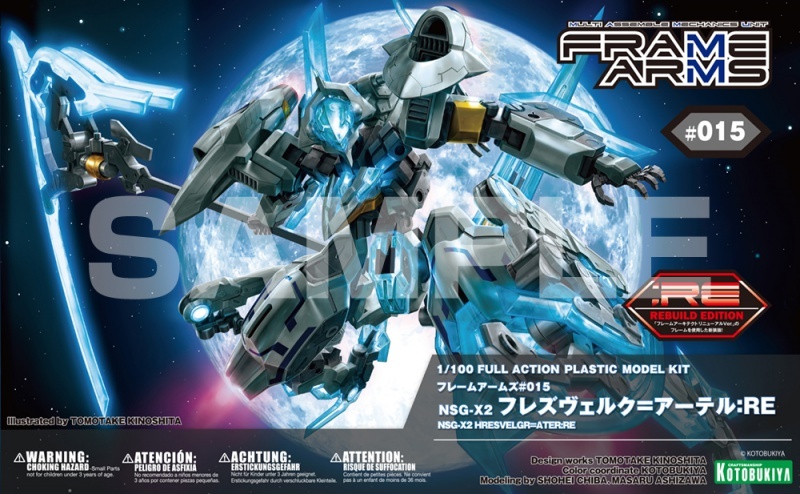 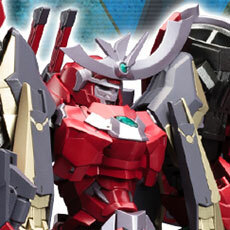 The popular model known for its angular silhouette and transformation gimmicks, NSG-X1 Hresvelgr is back with a new color scheme and completely new weapons in the form of NSG-X2 Hresvelgr=Ater! 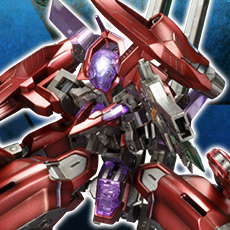 The second edition of Hresvelgr=Ater utilizes an updated version of the series’ central frame known as Frame Architect. 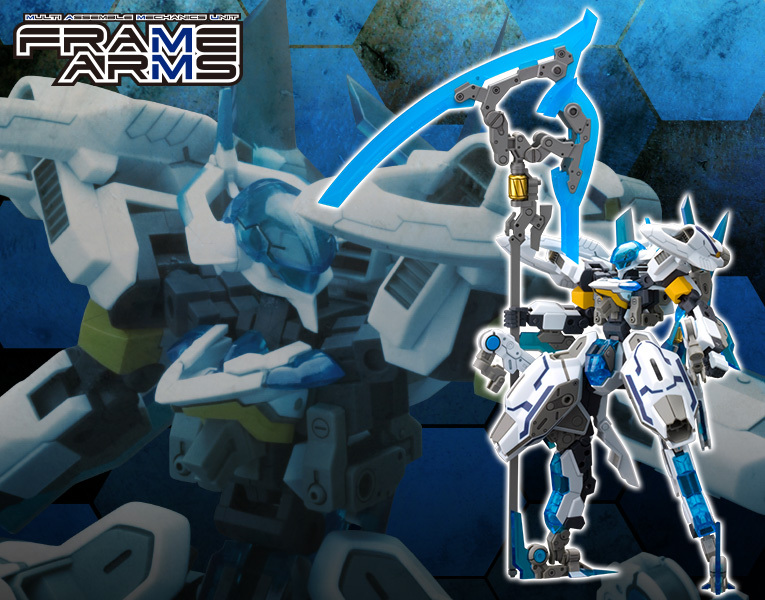 The Frame Architect Renewal ver. 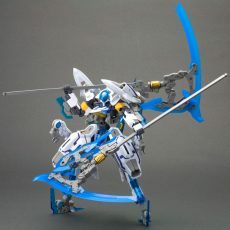 features a sturdier construction and wider range of flexibility. 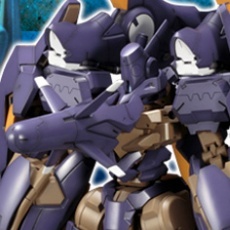 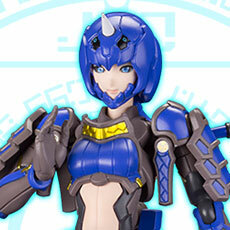 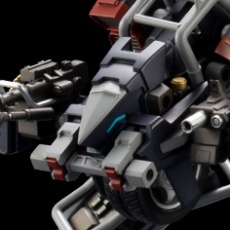 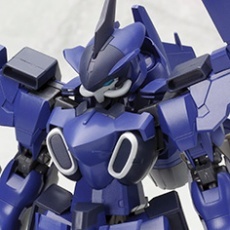 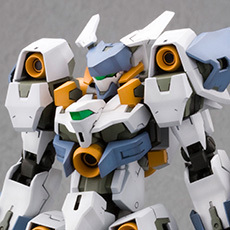 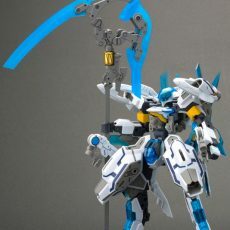 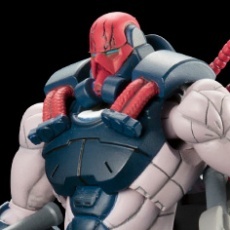 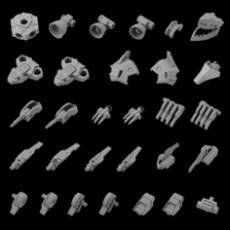 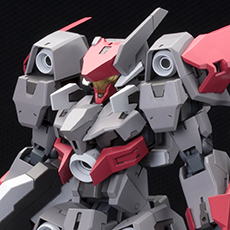 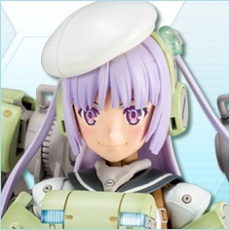 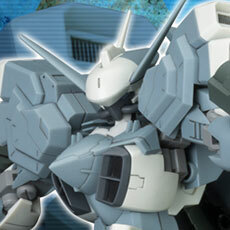 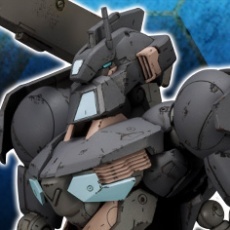  The kit includes decals for the chest, arms, and legs, allowing users to create a finished model with no paint required. 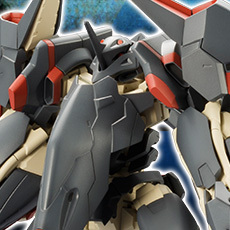 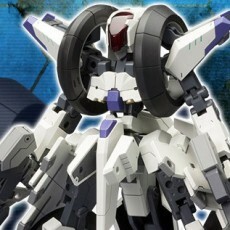 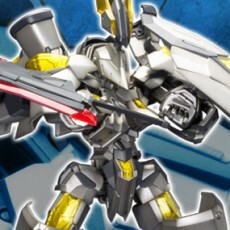 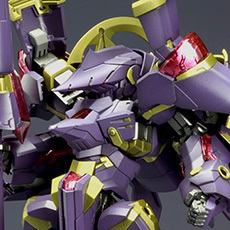 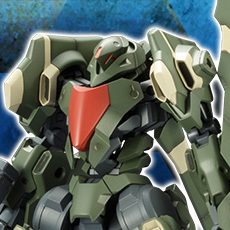 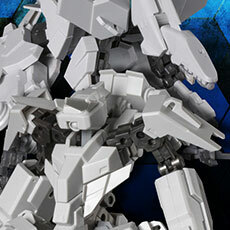 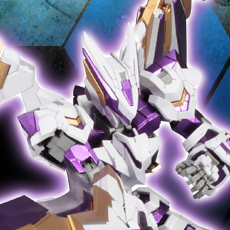 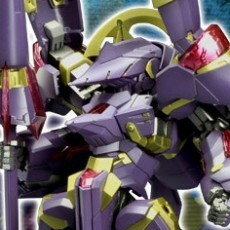 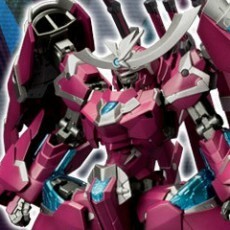 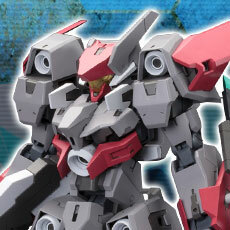 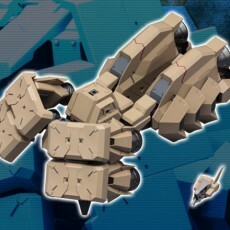 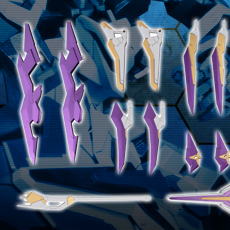  Hresvelgr=Ater’s most distinct characteristic is its transformation gimmick! 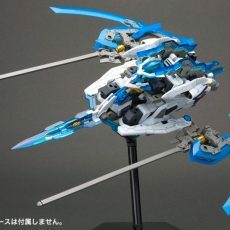 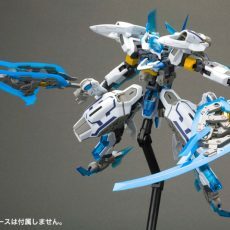 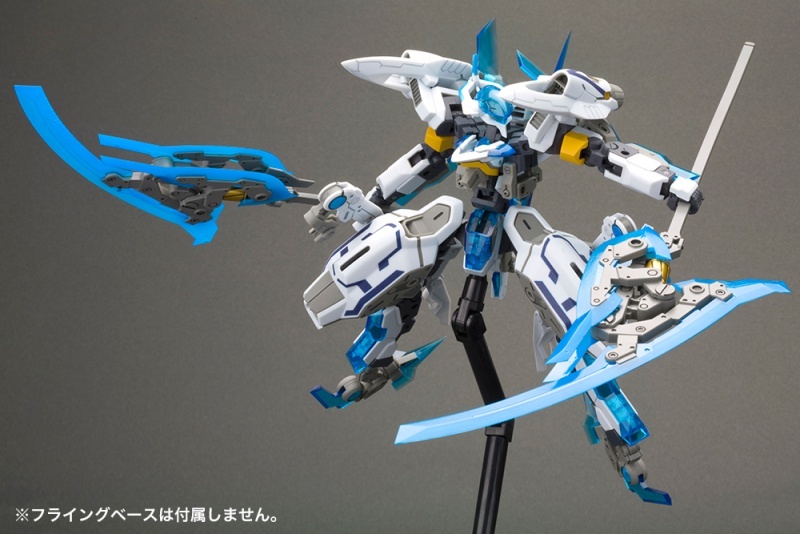 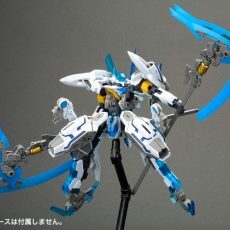 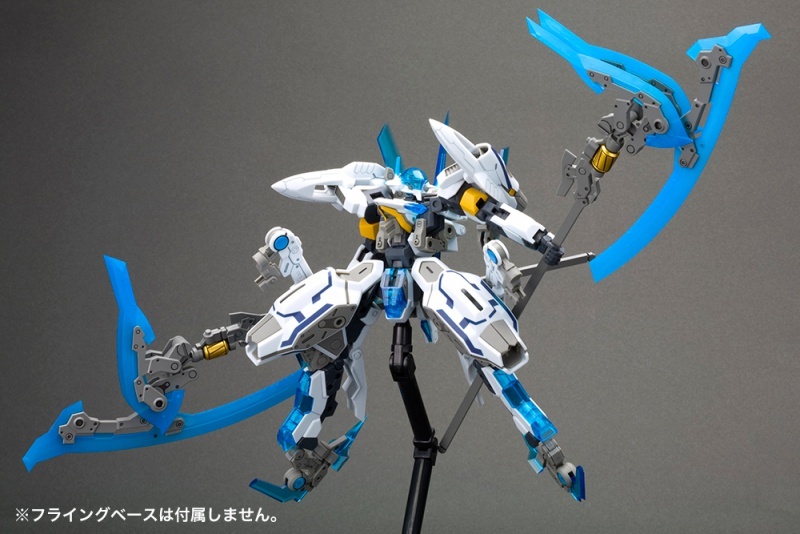 The wings can be converted into the Beryl Smasher weapons without changing out any parts.